When you are ready to travel with the comfort of a queen bed at night, take a look at this Clipper Ultra-Lite. 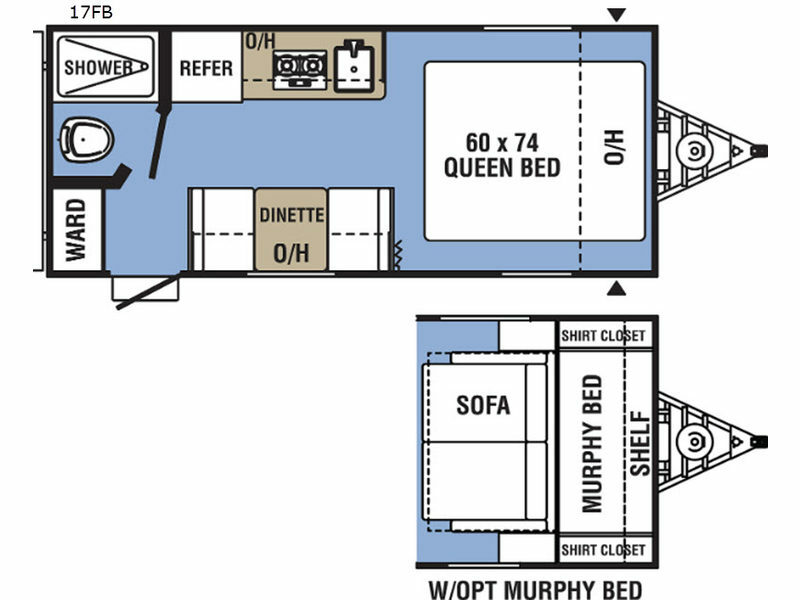 A couple or smaller family will enjoy kitchen amenities, plenty of storage, and sleeping space for three in this trailer. You can hang up your clothes in the wardrobe just inside the entry door, and wash up for dinner in the private shower and toilet room. 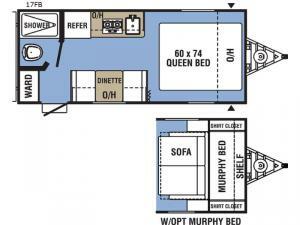 You might even like to choose the Murphy bed option in place of the queen bed allowing you to have a sofa as well. You will surely find everything your family will need for many overnight adventures at your favorite campsite.